This month the crypt of the “Basílica del Santísimo Sacramento” celebrated it’s 100th birthday. That is a good reason to be mentioned here. The construction of this church was commissioned by the very pious Mrs Mercedes Castellanos de Anchorena, no need saying that she was a member of one of the richest and most important families in Argentina at the time. As many rich people did back then, she bought the materials in Europe, not just Italy (marble), but also from France, Germany (the granite floors) and Belgium (the wooden benches). The highest quality was necessary in order to honour Christ, she said. In 1911 the crypt was finished, in 1915 the rest of the church was completed. Mrs de Anchorena, who lived in the mansion located on Arenales 700 had full view on this church, which she visited to attend mass every day until the day she died in 1920. 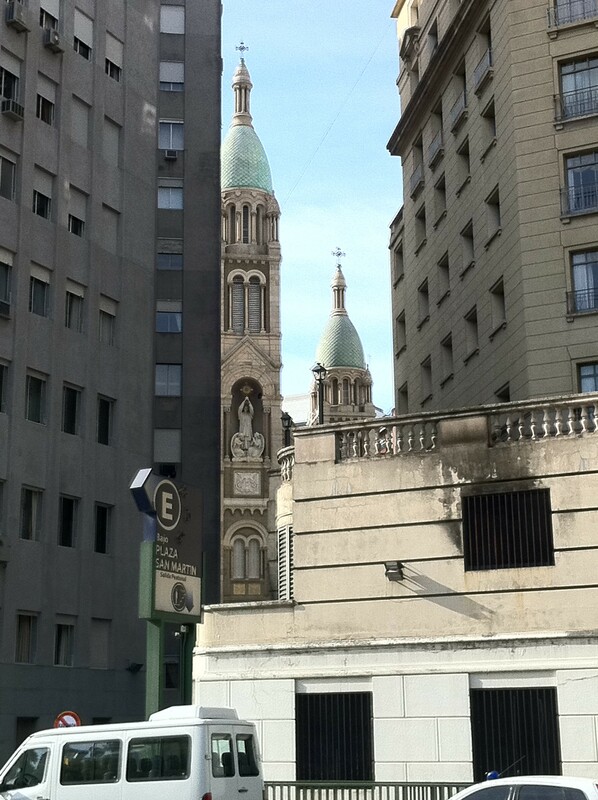 Now a days, the church is a bit ‘forgotten’, as it is blocked from the view, both of the de Anchorena mansion (now Palacio San Martin) as from the Plaza San Martin, by the famous art-deco Kavanagh building. 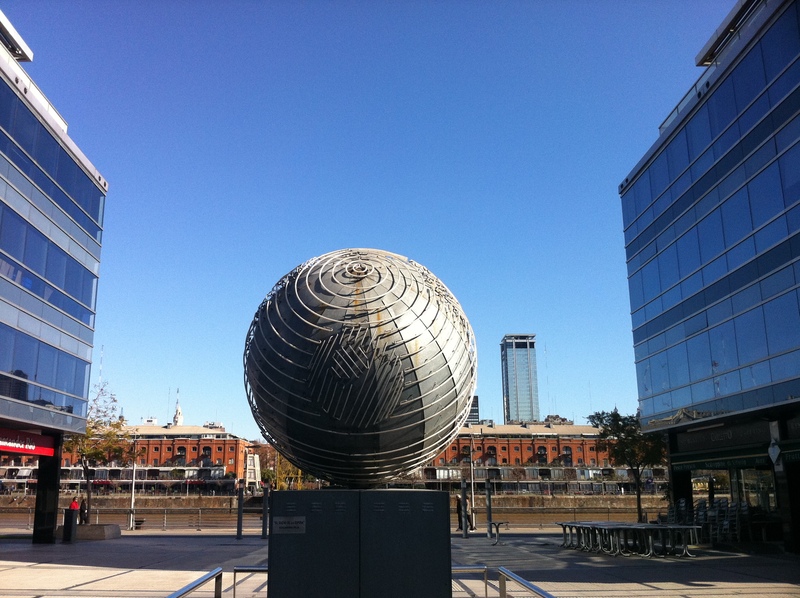 This Kavanagh building was designed by the architects Gregorio Sánchez, Ernesto Lagos and Luis María de la Torre, and it was commissioned by Corina Kavanagh. 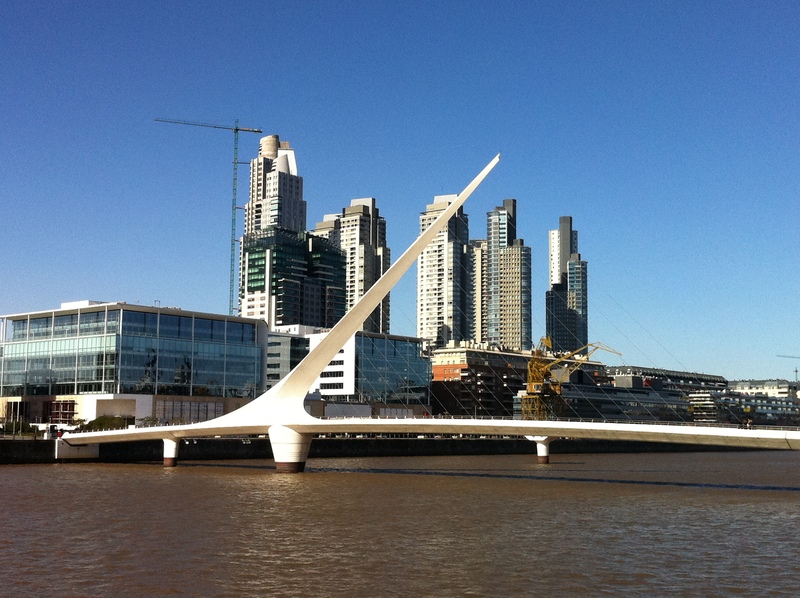 It is one of the most impressive architectural masterpieces of Buenos Aires. It is 120m high and was at that time the highest building in Latin America, and the highest reinforced concrete structure in the world. In 1939 it received an award from the American Institute of Architects. In 1999 it was declared national monument. Today, 70 years after its inauguration, 20 people are working full time in the building to do the maintenance and the security. There is a butler in charge of the 7 ‘encargados’. As the building is UNESCO world heritage list, the owners dont have to pay municipal tax (ABL). 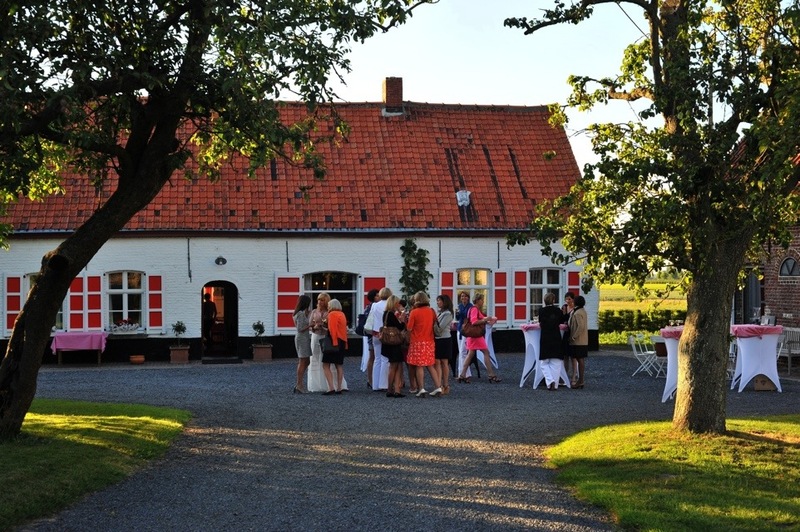 But in return they must keep the building in its original state, outside as well as inside. The story goes that Corina Kavanagh fell in love with the son of Mercedes de Anchorena. As the Kavanagh family were considered “nouveaux riches”, Corina was considered not good enough to marry into the de Anchorena family. As a revenge she gave order to build a grand apartment building that had to block the view of the de Anchorena family over the church. 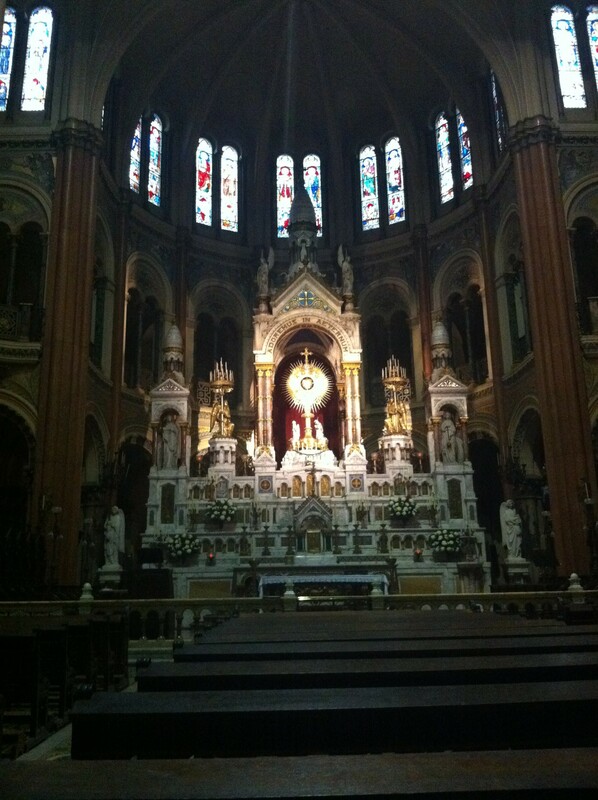 Ever since that day, when you want to go to the church, you have to go through the “Pasaje Corina Kavanagh”. The Kavanagh building, on the right the church. 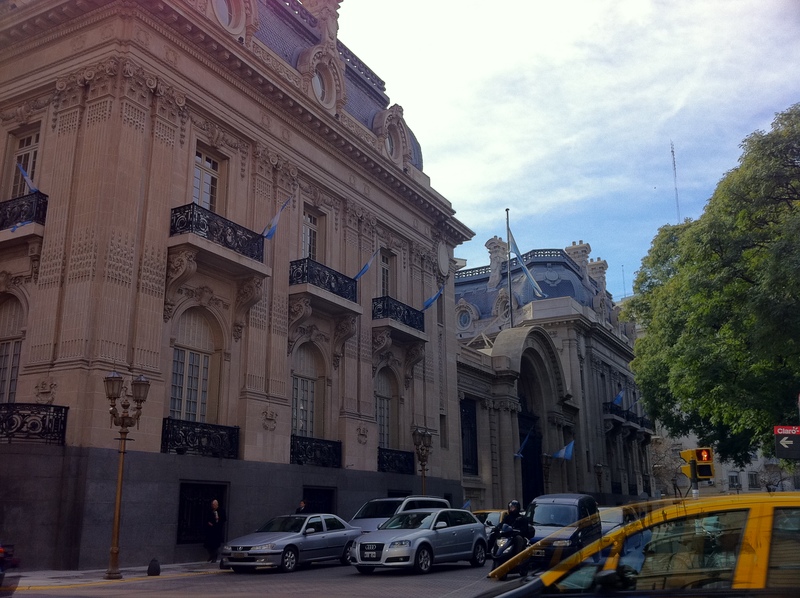 Palacio San Martin, originally the de Anchorena mansion. One of the reasons that I love argentina so much is the weather. I constantly need sun and light energy. I love the hot humid summers that make it hard to move, but I also love the cold winters under the steel-blue sky, and in between, the autumn and spring are equally nice. I don’t mind the occasional downpours as they never last more then 2 days, even if they come once a week, as long as in between, the skies are blue. The only thing I absolutely hate is the grey and gloomy weather, the drizzle and the fog, and that’s what the weather in Belgium is mostly like. 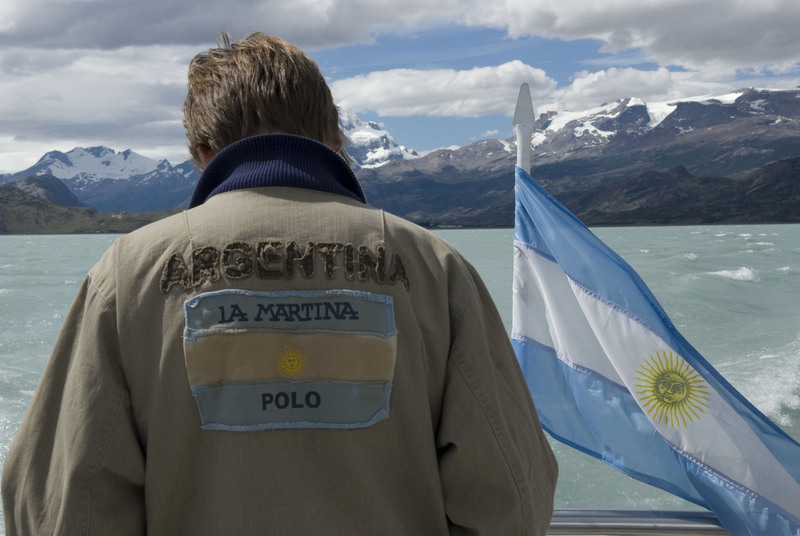 And that is also how it has been in Argentina ever since I got back from (exceptionally sunny) Belgium 2 weeks ago. Never, ever, did I have weather like this in Argentina. And never, ever, did I suffer more then I do now. Every morning, just after I woke up, I was happy when I checked the weather on my iPhone and I saw a beautiful yellow sun appear, only to be disappointed when I got up and looked through the window and realised it was yet going to be another grey day. If the Chilean volcano ashes have something to do with this, one does not really know, one doesn’t really care. Fact is that the lack of blue skies make me feel blue. I even gave up looking out of my window in the morning, but ask my husband ‘is the sun out?’, and guess what. This morning the answer was a clear YES! 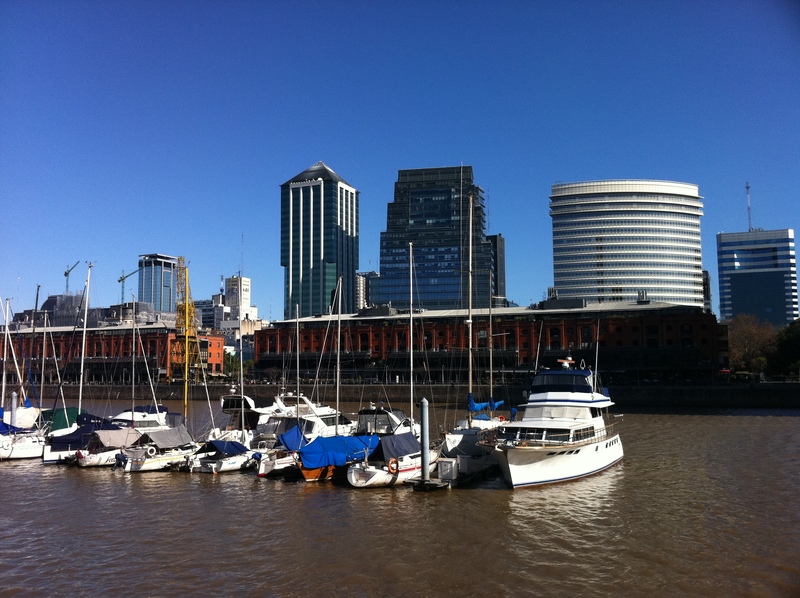 One of the best places to get as much sun and blue-sky absorbed into your body as possible, is probably Puerto Madero, where no narrow streets or high buildings can block the sun. Time to put on an extra sweater and a coat, and go for a long walk on the diques. Alghouth 12 degrees, the wind and the humidity gives you the impression it is a lot colder, but still, the sun on your face feels just great. And this time of the year is extra nice, as there are no tourists around. 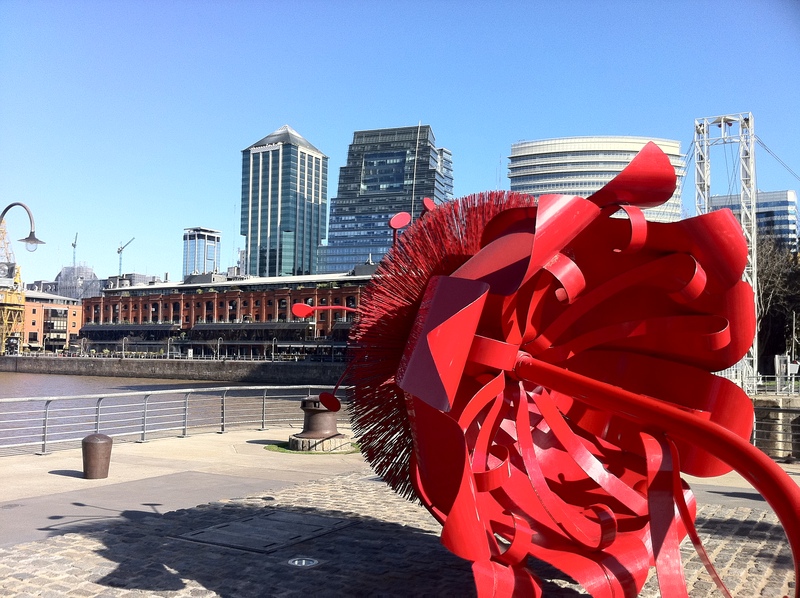 Puerto Madero is as good as empty. So for everyone in need of some blue energy, I am glad to share these photos with you! 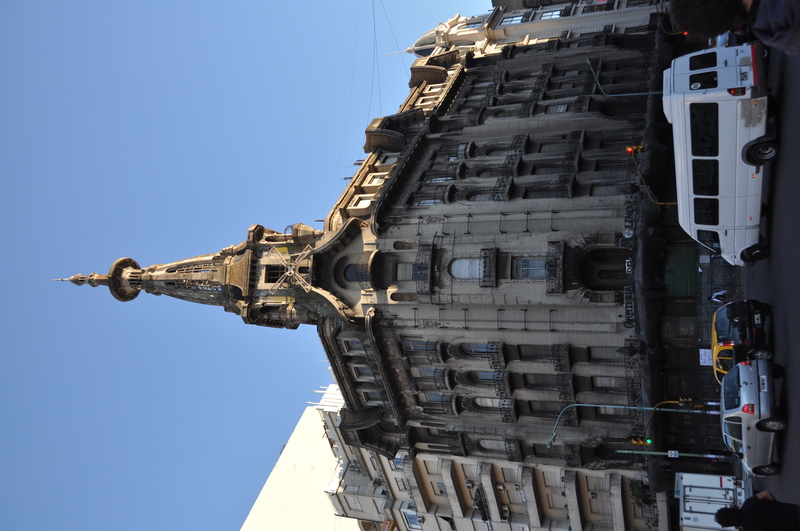 Just a look at this most beautiful building on the corner of Callao and Rivadavia causes your heart to break. This building is in a such a bad state of deterioration one just can’t believe this is possible. It is a perfect example of how one should not take care of his patrimonium. 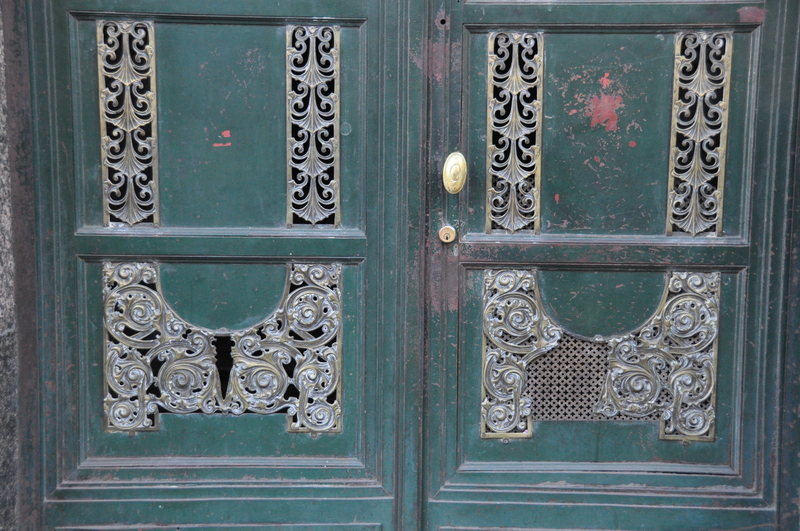 The confiteria could almost have celebrated its 200th birthday. 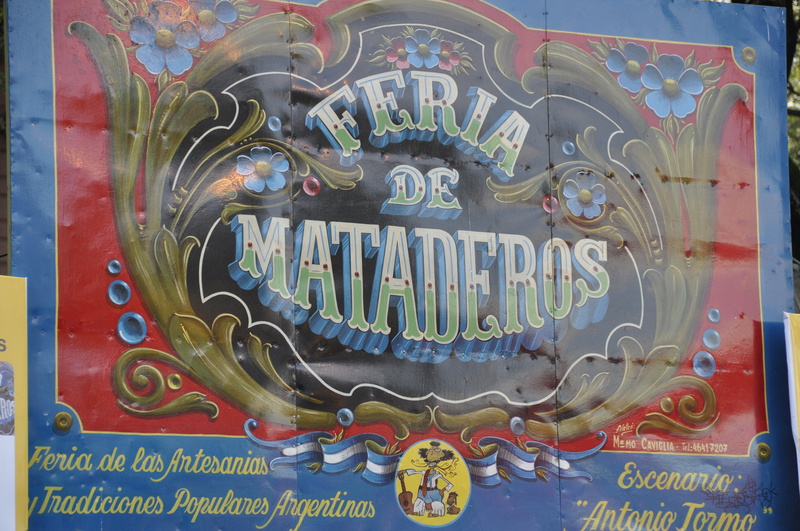 In 1848 two Italians, Cayetano Brenna y Constantino Rossi opened a patisserie on the corner of Rodrigues Peña and Rivadavia close to the 1st mill with steam engine in Buenos Aires (located on Plaza Lorea), and called it Confiteria del Molino. 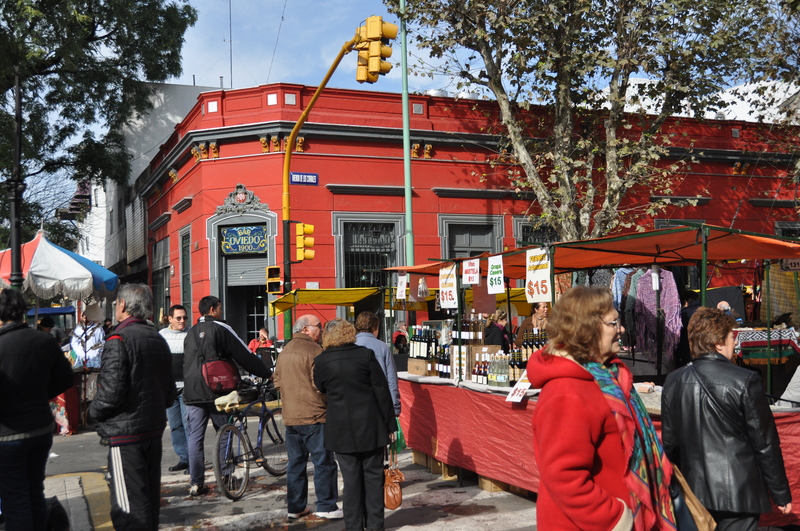 In 1905 they moved to the actual location on the corner of Callao and Rivadavia. In 1911 and 1913 Brenna bought both houses on Callao 32 and the one on Rivadavia. At that time Europe was at war and a lot of buildings, churches etc were destroyed, which made Don Cayetano decide to bring over materials from Italy (doors, windows, marble, bronze objects, ceramics, and more then 150m2 of vitreaux), and build one of the highest buildings of the city. In 1915 they charged the architect Francisco Gianotti with the difficult task to unite the 3 houses and construct the highest building of Buenos Aires, without closing the confiteria. They used metal columns to built a skeleton above the confiteria so that it could still attend to their clients without any problem. Gianetti build this majestic palace with it’s 6 floors and 3 subsoils, that gave room to a patisserie, a deli, a tearoom, ballrooms, kitchens, refridgerated rooms, storage rooms and private apartments, in about a year time. Some details were premoulded, like the stairs and the cupola. 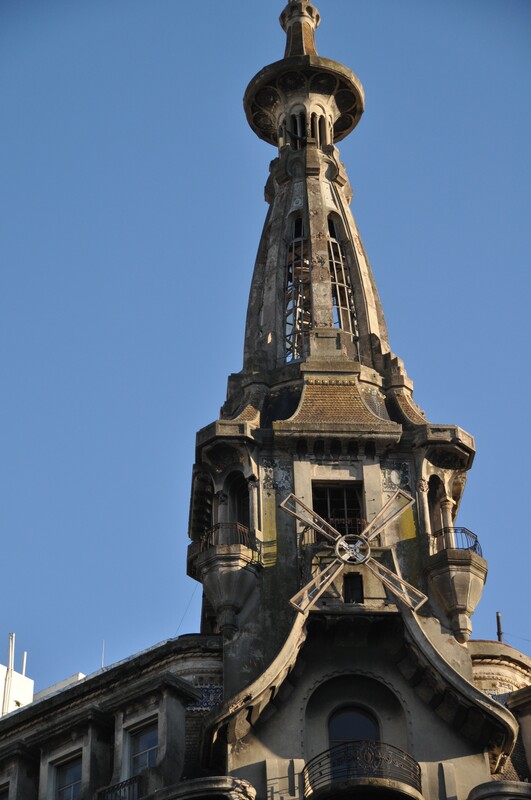 They put glass-canopy, marbles, bas-relief, stained-glass windows, and a replica of the arms of a mill in iron on the top, which is until today the recognisable symbol of the Confiteria. 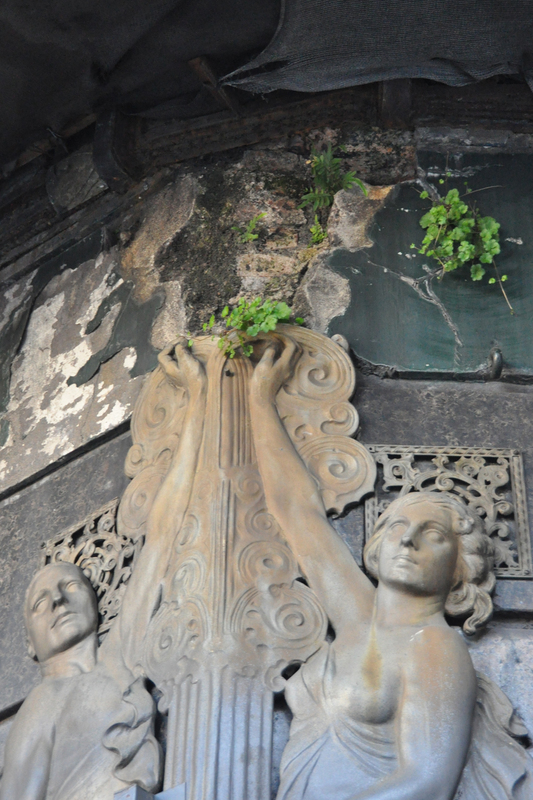 It is a fine work of art-nouveau, that was inaugurated on the 9th of July in 1916. It soon became the place to be for the bourgeoisie to meet and have debates about politics, literature and art, while eating delicious pastries. All this changed when Brenna died in 1938. It was then run by Renato Varese until 1950 and by Antonio Armentano until 1978, who sold the business to someone who turned out to be bankrupped. At that point the grandchildren of Cayetano Brenna saved the historical patrimonium and put it back to life, although without the grandeur of the past era. They introduced a bar, a counter with fast food, but maintained the original style of the interior. On the 23th of October 1997, after 137 years of existence, the confiteria closed its doors “for holidays” but never opened it’s doors again. Beaten up by the economical changes. And the deterioration of the building that had started long before -in 1963 one of the balconies fell down!- continued even stronger. 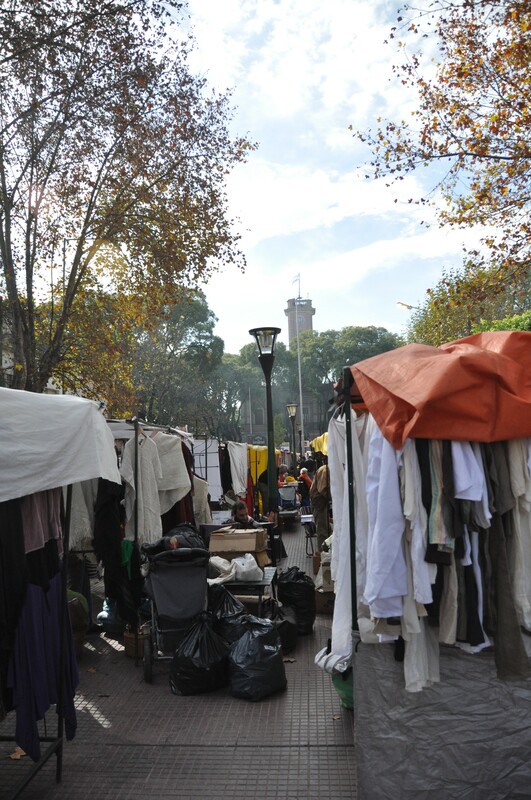 This area in the center of Buenos Aires was included in a list of 100 places in the world that are about to get lost, made by the World Monuments Fond. Above this it was declared protected historical monument of Argentina in 1997 and it is on the list of UNESCO’s art-nouveau patrimonium. But all that couldn’t save the building, yet. Gone are external ornaments of bronze, the dome shows with obvious vulnerability of the structure, stained glass and lamps show signs of treacherous attacks, external mouldings have disappeared, the walls are damaged, and corrosion is destroying all metallic elements. This does not mean that nobody cares. There have been several plans to save the building but upto now not one succeeded. In 2009 member of Parliament Teresa de Anchorena proposed a law to expropriate the confiteria and the ballrooms, in order to give it into a concession. The 5 top floors that are private apartments would not be touched. The concession fee would then cover the restoration works of the facade, the cupola and the interiors. Mrs de Anchorena wasn’t the first, nor was she the last. Someone proposed to change it into a hotel. Another one wanted to expropriate it completely. One preposition followed the other, but without any result. There are also rumours that the Brenna family has a project of restoration, but nobody ever confirmed this. At one point members of parliament put all the different prepositions together into one ; the expropriation of the whole building. The subsoils, the ground floor and the first floor would be restored into it’s original state, as a confiteria. The top floors would be used to promote cultural, artistic and educational projects. This project also includes a commission that will control the works of restoration, the planning and the execution of the works, and later, of the cultural activities. The parliament has voted a law that would make expropriation possible, but up to today this law still has to go through the senate (l2924-D-2006). The senators Samuel Cabanchik and María Eugenia Estenssoro presented 2 laws that are being discussed in parliament starting off last May 2011. 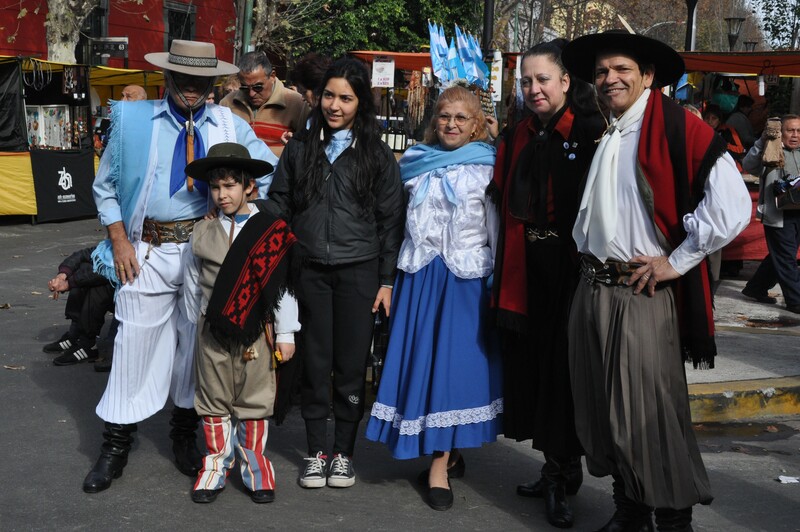 Daniel Filmus, candidate to be the next mayor of Buenos Aires, promised that if he would be elected, he will support the project of Samuel Cabanchik, knowing the restoration of the Confiteria is an important issue for the porteños. 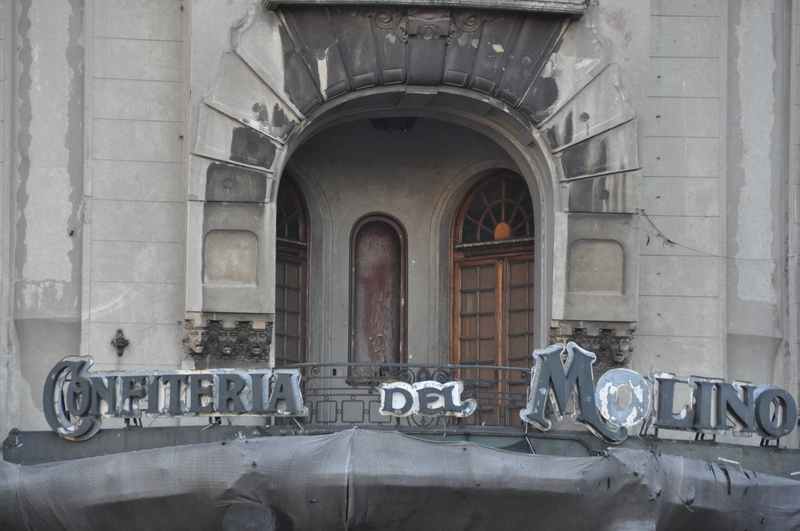 Today, almost 15 years after the closure of this unique building, we can only hope that the government will soon come to an agreement and that the necessary laws will be voted, and then maybe, just maybe, the Confiteria del Molino will come back to life and into its former splendour. Let’s just cross our fingers and hope. That’s all we can do. Just for those who are interested : the complete text of the laws to be discussed in parliament. ARTICULO 1º.- Declárase de utilidad pública, y sujeto a expropiación, por su valor histórico y cultural el inmueble de la “Confitería del Molino”, ubicado en Av. Rivadavia 1801/07/15 esquina Av. Callao 10/20/28/30/32 de la Ciudad Autónoma de Buenos Aires, identificado según mensura bajo la nomenclatura catastral: Circunscripción 11, Sección 9, Manzana 74, Parcela 23. ARTÍCULO 3°.- El Poder Ejecutivo Nacional transferirá sin cargo al patrimonio del Congreso de la Nación el inmueble identificado en al Artículo 1° de la presente ley. b) Los Presidentes y Vicepresidentes de las Comisiones de Educación y Cultura de ambas Cámaras. 2) Un centro cultural a denominarse “De las Aspas”, dedicado a difundir y exhibir la obra de artistas jóvenes argentinos que no haya sido expuesta públicamente en ningún medio. ARTICULO 6°.- Los recursos económicos obtenidos como fruto de la concesión, así como aquellos productos del funcionamiento del museo y del centro cultural se destinarán preferentemente a la gestión y mantenimiento del edificio. ARTÍCULO 7°.- El Poder Ejecutivo Nacional deberá contemplar en la partida del Presupuesto Nacional los recursos necesarios para dar cumplimiento a lo establecido en la presente ley, incluyendo en ella los gastos de reparación y puesta en valor del edificio. ARTÍCULO 8 ° Comuníquese al Poder Ejecutivo. La Asociación internacional World Monuments Fund, la organización privada sin fines de lucro más destacada, dedicada a la conservación del patrimonio histórico, artístico y arquitectónico a nivel mundial, incluyó en su listado de cien sitios culturales en peligro al centro de Buenos Aires, y dentro de él, a la mítica “Confitería del Molino”. Este enclave nació en el año 1848 a cien metros de su actual emplazamiento, en las calles Federación y Garantías (actuales Rivadavia y Rodríguez Peña). En ese entonces era conocido como “Confitería del Centro”. En 1858, los italianos Constantino Rossi y Cayetano Brenna adquirieron la confitería y la rebautizaron “Antigua Confitería El Molino”, por su cercanía al molino Loera, instalado entonces en un sector de la Plaza de los dos Congresos. En 1904, Cayetano Brenna compró la esquina de Callao y Rivadavia y posteriormente los edificios de Callao 32 y Rivadavia 1815. En 1917, decidido a remodelar y dar brillo a la confitería. Hizo traer de Italia todos los materiales y elementos indispensables para encumbrar su negocio con vitraux, cristalería, mosaicos, mármoles y aberturas. monumental obra fue encomendada al arquitecto Francisco Gianotti, cuya empresa familiar proveyó varios de estos elementos decorativos. De acuerdo al plano de Gianotti, los tres subsuelos, la planta baja y el primer piso serían ocupados por el local comercial —sector de panificación, bodega y depósito; confitería y salón de fiestas, respectivamente— y los demás pisos, por viviendas y oficinas. 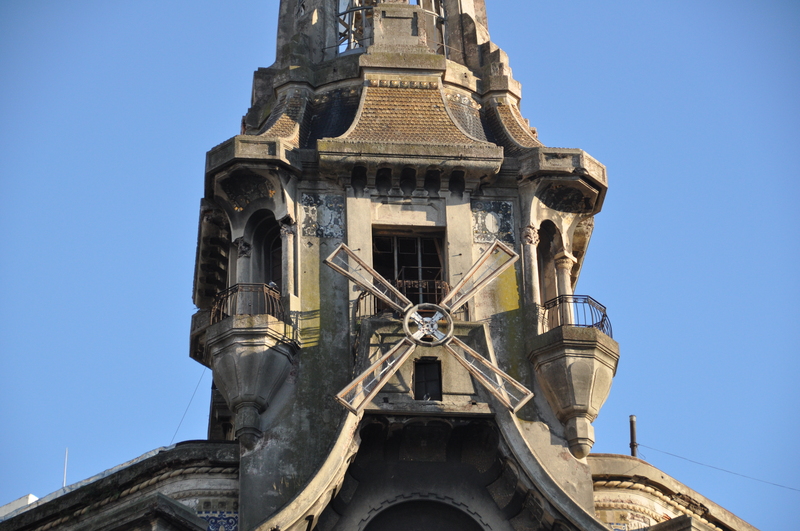 Así, desaparecía la “Antigua Confitería del Molino” de Rossi y Brenna para dar paso a la rutilante pastelería de estilo art nouveau ubicada frente al edificio del Congreso de la Nación. Dentro de las exquisiteces que se degustaban en el lugar a la hora del té, se encontraban los merengues, el marrón glasé, el “Panettone de Castañas” y el “Imperial Ruso”, (conocido en Europa como “Postre Argentino”), que había sido creado por Don Cayetano Brenna en 1917, en solidaridad con la familia real rusa. Se cuenta que fue aquí donde habría nacido el famoso postre “Leguizamo” (una base de bizcochuelo y hojaldre, con merengue, marrón glasé, higos glaseados, crema imperial con almendras, dulce de leche y recubierto con fondant, grana de chocolate y almendras picadas); un pedido de Carlos Gardel al maestro repostero para regalar a su amigo el jockey Irineo Leguizamo. 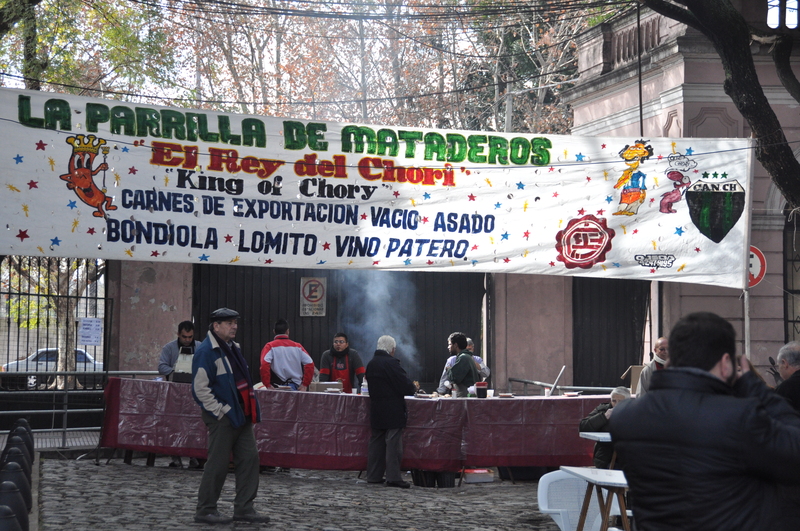 La Confitería fue el sitio de encuentro predilecto de la sociedad burguesa de principios y mediados del siglo pasado. Artistas e intelectuales sucumbieron ante las delicias que ofrecía la flamante Confitería revestida con mármoles italianos y detalles en bronce. Eva Perón, Lisandro de la Torre, Alfredo Palacios, Carlos Gardel, Leopoldo Lugones y otras figuras sobresalientes de la historia civil y política argentina también se dieron cita allí para degustar los merengues, el panettone de castañas y los tés y los cafés que don Cayetano se encargaba de servir personalmente. Por su ubicación geográfica, el edificio padeció los vaivenes que desde siempre caracterizaron a la vida política del país, y en 1930 fue incendiado durante el golpe de estado que derrocó al gobierno constitucional de Hipólito Yrigoyen. Posteriormente, la Confitería fue reconstruida; pero ocho años después, la muerte de don Cayetano fue una señal de lo que sucedería en las décadas venideras. La Confitería pasó a manos de diferentes dueños, luego se vendió el fondo de comercio y la marca y, al poco tiempo, los compradores presentaron la quiebra. Es allí cuando los nietos de Brenna recuperaron la Confitería y lograron revivirla. Sin embargo, durante los años 90, la terrible competencia comercial destrozó las esperanzas de prosperidad y en 1997 la Confitería del Molino cerró definitivamente. 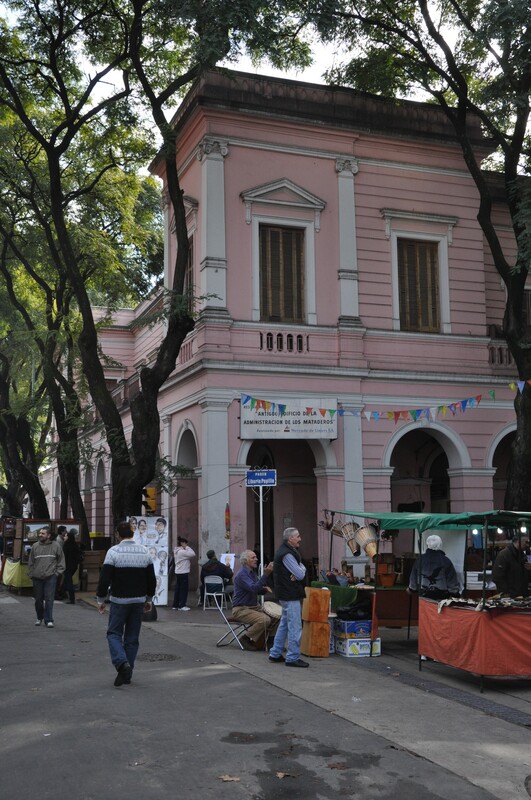 histórico de la ciudad, de modo tal de poder volver a contar con uno de sus principales exponentes del art nouveau.. La reapertura de la confitería no sólo permitirá a los vecinos de la ciudad de Buenos Aires y a sus visitantes disfrutar de este tradicional paseo, sino que además servirá para la gestión y mantenimiento del edificio, dado que parte de las ganancias obtenidas por la confitería concesionada deberán destinarse a tal fin. En segundo término, la creación de un museo que tenga como eje principal a la “Confitería del Molino”, resultará una forma alternativa de retratar parte de la historia de la Ciudad de Buenos Aires y de la política nacional de una forma vivencial. El hecho de que la confitería y el museo funcionen en el mismo edificio hará del recorrido histórico una experiencia multisensorial. De este modo, sus visitantes podrán evocar y –literalmente- degustar fragmentos de la historia nacional en los que el edificio de la esquina del Congreso de la Nación adquirió un rol preponderante. En este sentido, no debe olvidarse que la “Confitería del Molino” ha sido escenario de reuniones de diputados y senadores nacionales a lo largo de sucesivos períodos legislativos, así como también fue sede de las primeras reuniones del “Foro del pueblo argentino contra el terrorismo de estado”, convocado en 1983 por las Madres de Plaza de Mayo, la Asamblea por los Derechos Humanos, la CGT y la Asociación de familiares detenidos y desaparecidos. En tercer lugar, y en clara sintonía con el rol en la escena cultural y artística que la confitería solía ocupar –escritores de la talla de Roberto Arlt u Oliverio Girando (quien incluso lo menciona en su poema “Las chicas de Flores”) han sido sus habitués-, la iniciativa propone la creación del Centro Cultural “De las Aspas”, en donde se expondrán obras de artistas jóvenes nacionales que no hayan sido expuestas públicamente en ningún otro medio. Asimismo, desde el centro cultural, se fomentará el debate sobre las artes y las letras, ya sea a través del dictado de talleres y conferencias, así como a través de la organización de concursos y el otorgamiento de becas, entre otras iniciativas. Asimismo, considero que su proximidad al Congreso Nacional facilitará la sinergia en la coordinación y el intercambio entre los distintos gobiernos provinciales para la realización de eventos y exposiciones en la capital de la República. ende un mayor intercambio artístico que enriquezca a todo el pueblo argentino, ya sea a través del debate de ideas, como de la difusión de la producción de nuestros jóvenes artistas. Por todo lo anteriormente expuesto, solicito a los señores senadores me acompañen con su voto para la aprobación de esta iniciativa. ARTICULO 1º.- Declárase de utilidad pública por su trascendencia histórico-cultural nacional , y sujeto a expropiación, el Edificio del Molino, ubicado en la Avenida Rivadavia 1801/1807/ 1815 esquina Av. Callao 10/20/28/30/32 de la Ciudad Autónoma de Buenos Aires, inmueble identificado según mensura bajo la nomenclatura catastral: Circunscripción 11, Sección 9, Manzana 74, Parcela 23. ARTICULO 2º.- Decláranse de utilidad pública y sujeto a expropiación los bienes muebles e instalaciones originales existentes del inmueble citado en el art. 1º y los bienes intangibles de la Confitería del Molino, que incluyen la marca “Del Molino”, clase 42 (Res.1590589) registrada en el Instituto Nacional de la Propiedad Industrial por Nietos de Cayetano Brenna S.A.
ARTICULO 3º A los fines de la indemnización correspondiente, el valor de los bienes determinados en los artículo 1º y 2do será fijado conforme a las estipulaciones de la Ley 21.499, sobre el Régimen de expropiaciones, por el Tribunal de Tasaciones de la Nación o las oficinas técnicas competentes que se designaran, pudiendo solicitarse la apoyatura y asesoramiento de otras entidades públicas o privadas. ARTICULO 4º,. El Poder Ejecutivo Nacional deberá contemplar en la partida del Presupuesto Nacional en el ejercicio financiero de su entrada en vigencia los recursos necesarios para dar cumplimiento a lo establecido en la presente ley, incluyendo en ella los gastos de reparación y puesta en valor del edificio. ARTÍCULO 5º El Poder Ejecutivo Nacional procederá a la restauración integral y puesta en valor del inmueble expropiado para luego proceder a transferir sin cargo dicho edificio al patrimonio del Congreso de la Nación. varios y usos complementarios permitidos por la normativa vigente, resguardando la función histórica del espacio en cuestión. Los términos de la concesión deberán resguardar la recuperación y conservación integral de las características edilicias, ornamentales artísticas y funcionales de lo que fue la confitería de “El Molino” y su actividad comercial. Los pisos superiores serán destinados al Congreso de la Nación, quien podrá destinarlos a usos de actividades de extensión legislativa o aquellos vinculados a la cultura y en particular a la memoria, el compromiso cívico y las prácticas de la democracia en relación a la función inherente al Poder Legislativo Nacional. ARTICULO 7º .- Se conformará una Comisión Bicameral ad honorem, integrada por seis miembros, 3 del Senado de la Nación y 3 de la Cámara de Diputados de la Nación; respetando en su integración la proporción propuesta por los bloques parlamentarios. La duración de los cargos será de cuatro años, pudiendo ser reelectos. La Comisión dictará su propio reglamento interno y designará un presidente y un vicepresidente que la representarán ante terceros. La administración y el usufructo de los bienes citados en el art. 1º y 2º, así como todos los usos que se puedan definir para los pisos superiores del inmueble serán responsabilidad de la nombrada Comisión que deberá presentar un informe anual, sujeto a aprobación, ante ambas cámaras. ARTICULO 8º Comuníquese al Poder Ejecutivo. La Confitería del Molino, cerrada desde el año 1997, fue testigo privilegiado de la vida política argentina. 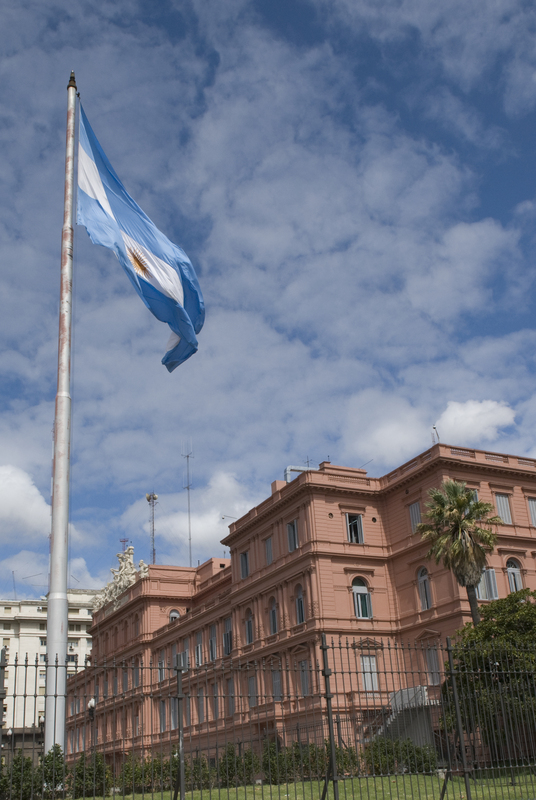 Ha sido declarada Monumento Histórico Nacional por Decreto Nº 1110/97 y forma parte del Área de Protección Histórica Nº 1 San Telmo- Avenida de Mayo desde 1992, y catalogada con Nivel de Protección Estructural. Por lo cual nadie puede dudar de su trascendencia como patrimonio histórico artístico y espacio testigo de la vida cívica argentina y de la evolución institucional de la República. Ubicada en la esquina de Callao y Rivadavia entabla un diálogo simbólico con el Palacio de los Dos Congresos realizado por el arquitecto Víctor Meano y la plaza homónima. Es un espacio único en Buenos Aires en el que se instaló la “Confitería del Centro”, el 28 de febrero de 1905, rebautizada como “Confitería del Molino” en recuerdo al primer molino harinero instalado en la zona aledaña. El edificio era propiedad de Cayetano Brenna y constaba de una vivienda de dos pisos con negocio a la calle y tres subsuelos en los que se producía la pastelería que se consumía en la confitería. 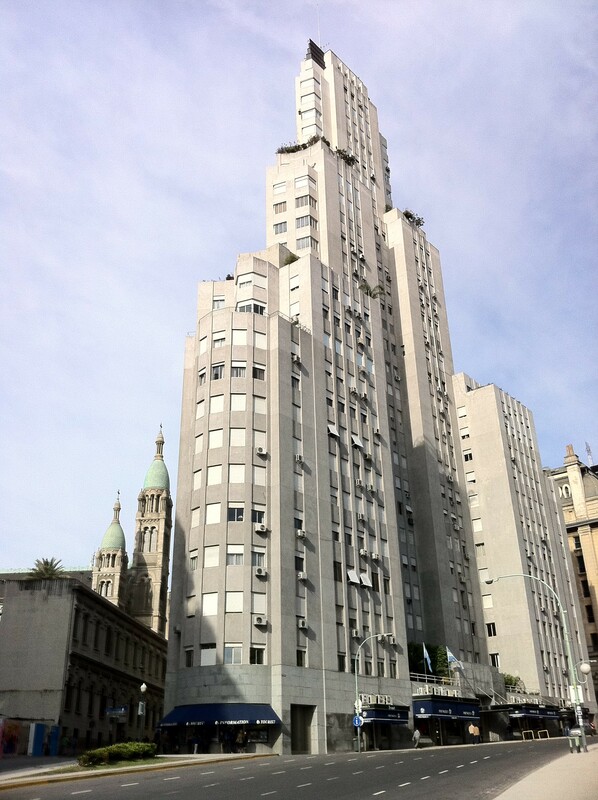 El actual edificio fue diseñado por el arquitecto Francisco Teresio Gianotti en estilo Modernista, con una superficie de 6000m2, respetando los subsuelos originales y fue inaugurado hacia 1917. Gianotti se propuso crear un edificio único y original, de fuerte presencia visual, con una alta torre en la ochava que refleja la luz solar en los vitrales y cerámicas doradas, imagen poco frecuente en los edificios de la ciudad. Las aspas del molino se transformaron con el paso del tiempo en un mandala urbano y la marquesina con piñones de hierro colgantes y los relieves escultóricos le otorgan, desde lo simbólico, un rol emblemático distintivo. Su emplazamiento y sus características morfológicas lo transforman en un hito del patrimonio arquitectónico nacional. El arquitecto cuidó todos los detalles de diseño: los vidrios y herrajes de las ventanas, las puertas, los vitrales. Logra una riqueza visual por la pluralidad de materiales utilizados (cerámicas, mosaicos, mármoles, vitrales, metales) conformando un todo entre el diseño exterior de la fachada, el manejo del espacio y la riqueza cromática de la ornamentación. Como confitería era conocida por varios postres como el Imperial Ruso, los merengues, el marrón glasé y el postre Leguizamo, que servía, vestido de levita, Don Cayetano Brenna personalmente. Desde sus inicios por la proximidad con el Congreso de la Nación fue un lugar elegido por legisladores y políticos para continuar los debates y discusiones fuera del recinto de sesiones. Su historia acompaña la historia nacional y durante el golpe de Estado de 1930 la confitería paso a ser un escenario de violencia entre los jóvenes radicales y los seguidores del general Uriburu. El lugar quedó deteriorado por más de un año y debió ser restaurado. En 1983 en sus salones se reunió el Foro del Pueblo Argentino contra el Terrorismo de Estado, convocado por las Madres de Plaza de Mayo, la Asamblea por los Derechos humanos, la Confederación General del Trabajo de la Nación y la Asociación de familiares de detenidos y desaparecidos. Alvear, Eva Perón y Juan Domingo Perón. La presencia cultural dejó testimonios imborrables documentados en varias publicaciones y libros con figuras como Roberto Arlt, Aníbal Troilo, Tita Merello, Carlos Gardel e Irineo Leguizamo, entre muchos otros. El edificio fue declarado Monumento Histórico Nacional en 1997. Quienes frecuentan y circulan por la zona vivencian el vacío y la nostalgia que esta tradicional esquina nos produce a los ciudadanos al ver el edificio cerrado y abandonado en acelerado proceso de deterioro. Los medios de prensa y comunicación se han hecho eco de los reclamos de la sociedad y difunden permanentemente el estado de situación de riesgo del inmueble, así como también organizaciones internacionales como World Monuments Fund y ONG locales como “Basta de Demoler” denuncian y organizan múltiples actividades para concientizar a la población y a los legisladores sobre la trascendencia de este edificio para el patrimonio y la memoria nacional. El estado debe asumir el rol indelegable de preservar para las generaciones futuras el patrimonio histórico cultural de este edificio declarado Monumento Histórico Nacional, promoviendo un uso vinculado a su historia e identidad. Por todo lo enunciado, solicito a los señores senadores me acompañen con su voto para la aprobación de este proyecto de ley. It wasn’t until I completely destroyed my designer-shoes on the ever so clean and well maintained sidewalks of the most beautiful town of Ghent that I thought about the grass. I thought that the badly paved footpaths in Capital had the sole right for destroying high heels? Is the grass really greener at the other side? I constantly enrage the always stressed and in a hurry car drivers, as I always stop at a crossroad, waiting for them to pass, and every time, just at the moment that they come to a complete stop right in front of the crossroad, with that “What are you waiting for woman? !”-look, I realise that I should have just crossed the road without looking, and save the car the trouble of having to stop completely. Women! Of course the backside of this is that I almost killed a couple of pedestrians when I am driving like crazy, trying to get to the store just before 18h (closing time) to get something to eat, to buy a (literally) last minute present for a friend that I am visiting that night, or to finish off the my shopping list of things I need in Argentina. It is difficult to adapt to Belgian timing. Lunch at 12. Dinner at 20 (kitchens usually close at 22), on top of that Belgians are so punctual! I do my utmost best to get everywhere in time. There is no such thing as distances in this country, but everywhere I go, whatever time of the day, I seem to get stuck in traffic. No piqueteros, but uncoordinated roadworks all over the country, rush hours that last all day, and too many, just too many cars. Exorbitant gasoline prices don’t make people drive less (1,67€/l yes, that is almost 10 pesos per liter! ), on the contrary. Even this great spring weather (well it’s still spring, but the weather is like Belgian summer) doesn’t make people get their bikes out (we’re Flemish, not Dutch). Even though everything is ‘close’, everything is still quite stretched. I live 5km from the closest bakery but these 5 km are full of houses. 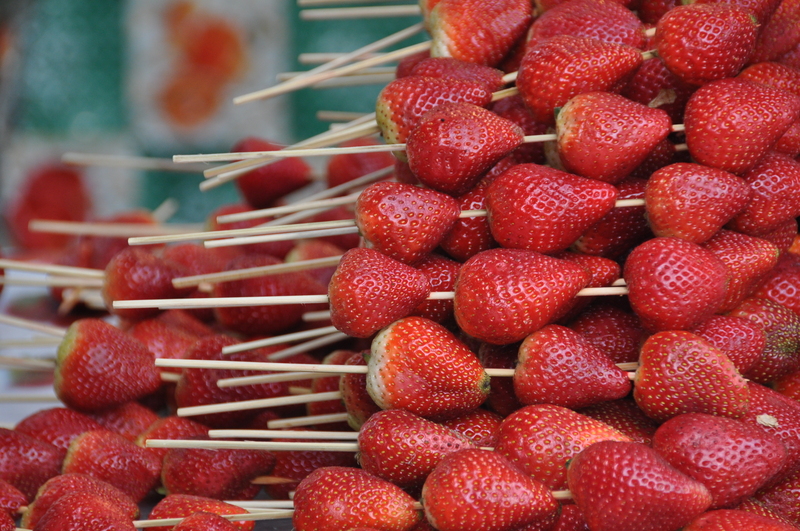 I miss the city, where you just go down and walk one block to get whatever you need. I miss hearing the lovely Argentine Spanish in the streets and above that, I’m feeling ugly. Nobody, just nobody in these streets says I look good. Is there something wrong with me??? 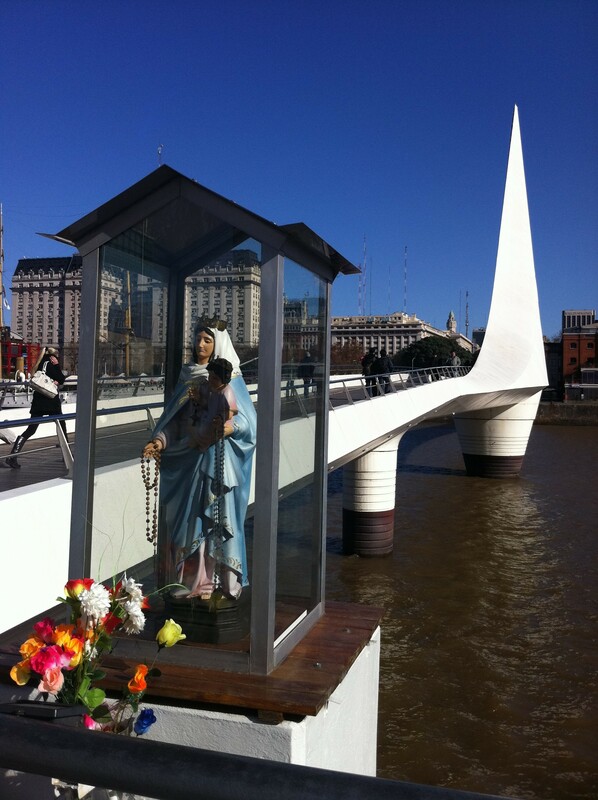 Am I becoming too Argentinised… Considering piropos as a (nice) part of life? But then, the grass really is greener here. For that, the Belgians must pay a big price. Lots and lots of grey days with lots of drizzle and rain. Only now, they are experiencing an exceptional spring with more hours of sun then they have ever had in this time of year. Almost 3 months of sun makes them complain on how the poor plants are suffering the drought. Not a minute they think that tomorrow it can start raining non stop until December and then they will be complaining about the lack of sun and the never-ending grey days. And then the way they dress! 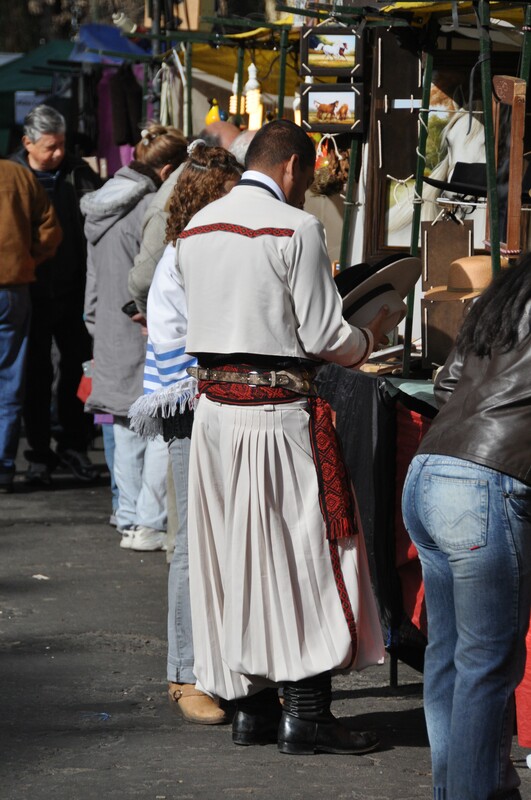 The Argentines take out their boots and winter coats the first day the temperatures drop below 18, here they take out their summer dress shorts and sandals the first day the temperature goes above 18, even when at night it drops back to 10. I freeze to death just looking at them! Ever since the sun came put, weeks ago, winter clothes have been banned.